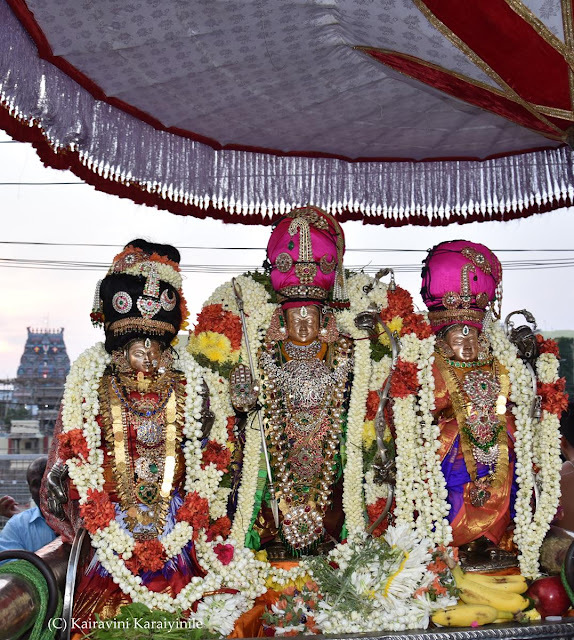 Today (25th Mar 2018) is the holy day of Sree Rama Navami – the day on which Lord Sri Ramachandramurthy, the supreme avatar of Maryada Purush was born in the blessed land of Ayodhya. Lord Rama descended on earth for the purpose of upholding righteousness and rewarding virtue. 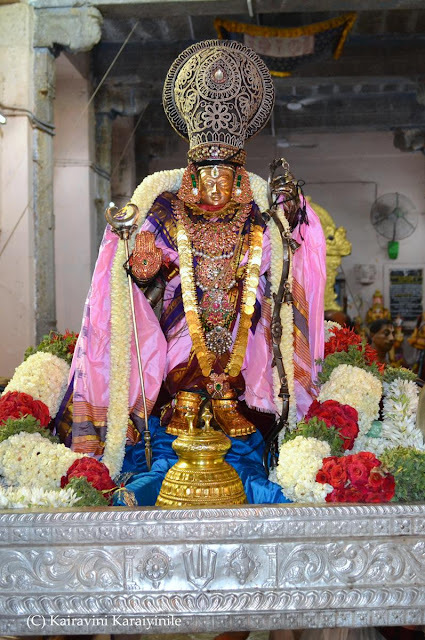 His birth was extraordinary ~ His father was Emperor Dasaratha – who was well-versed in Veda, was a gatherer of all scholars, riches and forces as well, a foreseer; esteemed by urbanites and countrymen alike, a top-speeded chariot-warrior among the emperors of Ikshwaku kings, one who performed many Vedic rituals, a virtuous one, a great controller, a saint-like kingly sage, who was equal to Indra. Sriman Narayana, with all His kindness agreed to incarnate as human and selected King Dasharatha as his father. When Dasharatha peformed the Vedic ritual called putrakaameshti, Praajaapatya purusha arose from the sacrificial fire to give a golden vessel of divine dessert to Dasharatha for distribution among his queens to beget progeny. 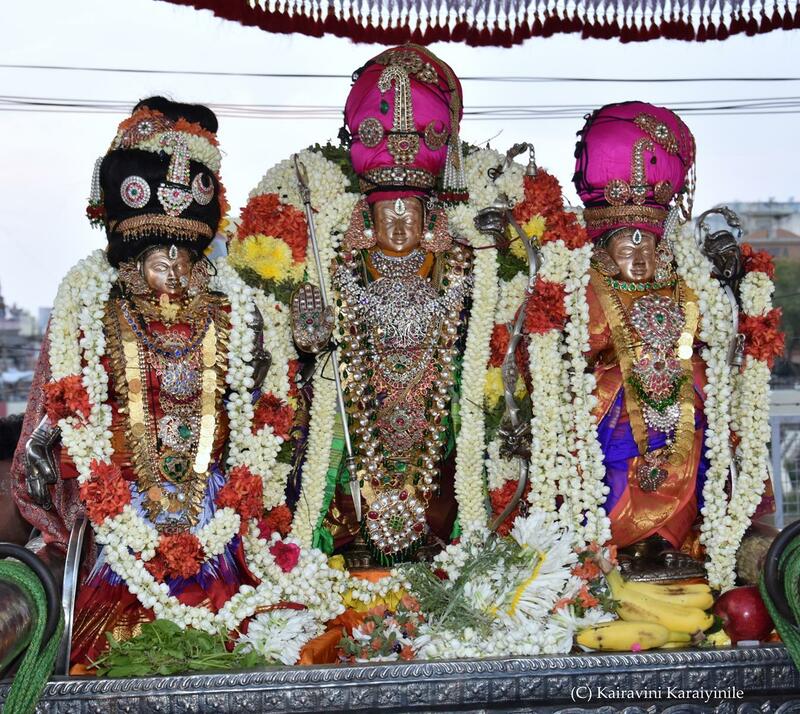 On this day of Sri Rama Navami, there will the purappadu of Sri Rama in Hanumantha vahanam later in the evening. Mere chanting of His name [Sri Rama Namam] will bring us all good things and prosperity. 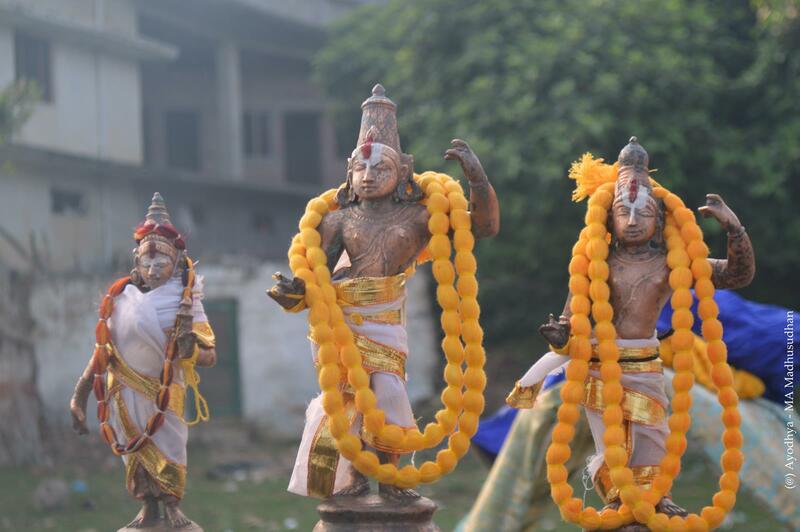 PS : photo at the start : Sri Rama at Ammaji Mandhir, Thiru Ayodhya, also known as Saket – photo credit : MA Madhusudhanan.